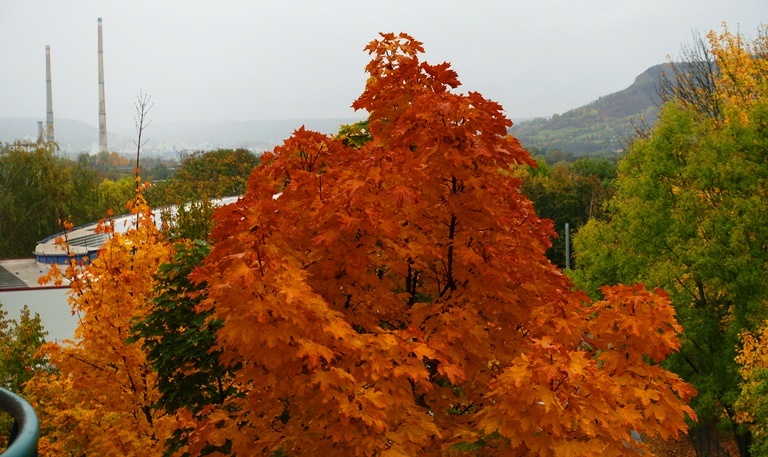 It is definitely Autumn here in Jena. 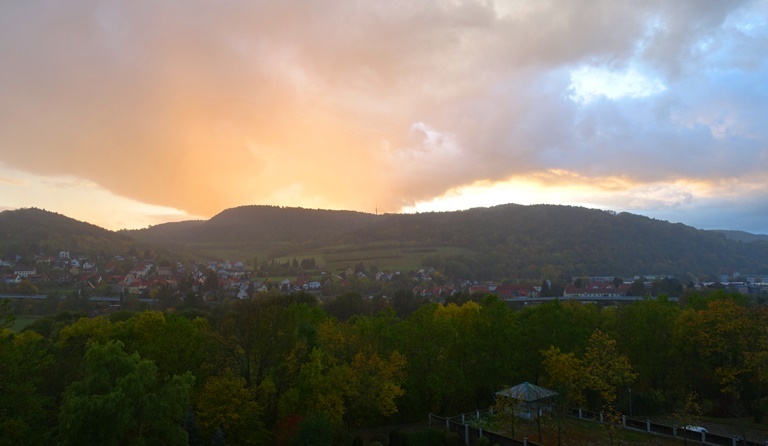 Here was the view out my window this morning here in Jena. The trees are turning color and it is so beautiful. My view is not the same tonight as I moved to a different room as a defective router was not allowing me to get stable internet access. 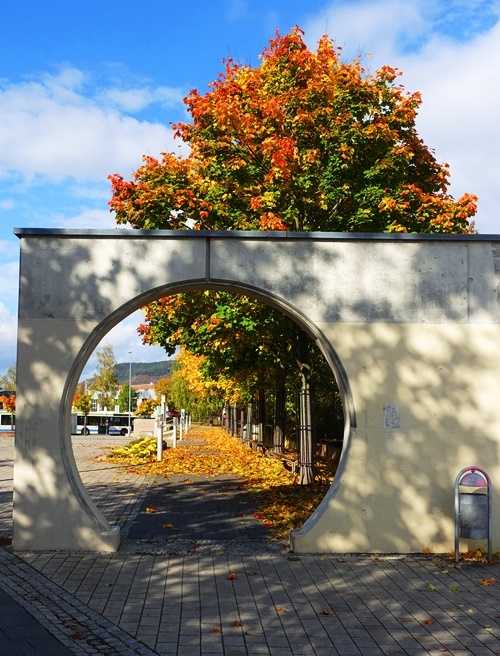 This view has always intrigued me on my trips here to Jena. I like the way that this sidewalk starts at a circular gateway. It is especially beautiful with the fall colors and the many leaves on the sidewalk. 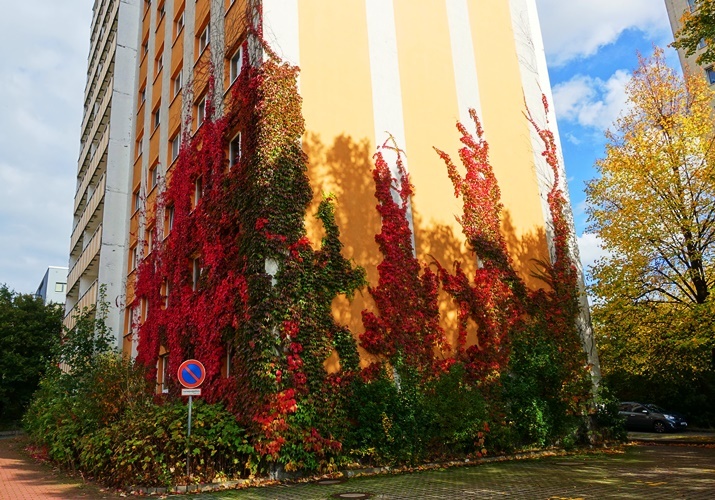 How do you make an apartment block beautiful? You let ivy climb up the walls. It is especially beautiful with the fall color of the leaves. During an afternoon walk the sky was full of dark clouds that threatened rain. It was also a bit windy and people were flying kites. Of course a cloudy sky will often result in a beautiful sunset. This was only moments before showers moved in. Thankfully the showers did not last long and I was able to go out for dinner without getting wet. 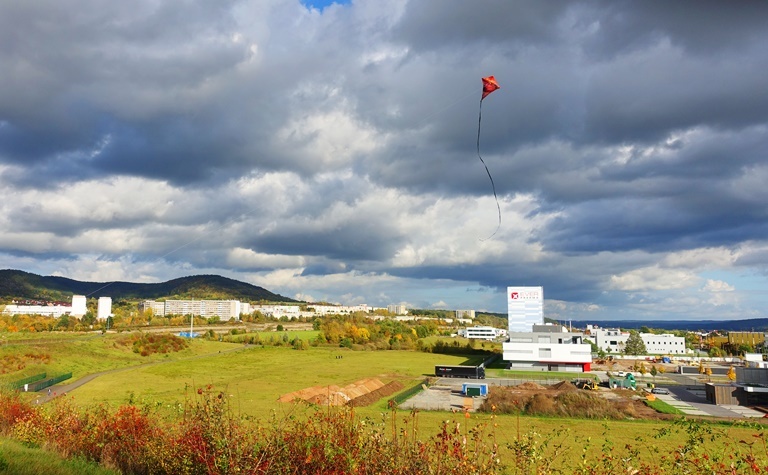 This entry was posted in Culture, Nature, Seasons and tagged autumn, Fall, Jena, jena germany, Kites, showers, sunset. Bookmark the permalink.